The Buckeye Lures G-Man Finesse Swimbait jig heads was designed by the one and only Gerald Swindle. This head features an ideal design for fishing small swimbaits when there is a need to downsize the presentation. The round pill shape and flat sides provide a consistent rate-of-fall and a wider profile, which allows the Finesse Swimbait Jig to deliver a deadly presentation as well as mate seamlessly with a variety of soft-plastic trailers. 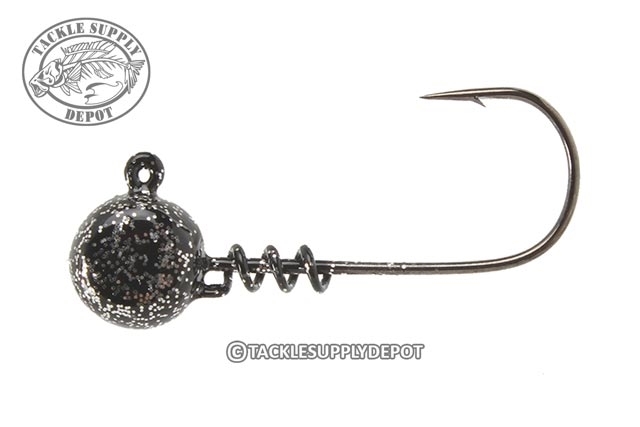 This is Swindle's go-to swimbait head when he needs to go to lighter line and smaller swimbaits. Equipped with a razor sharp hook that takes minimal effort to penetrate the fish's mouth it is also matched with a screw lock bait keeper which holds trailers more securely than traditional lead barbed keepers. A must-have for finesse anglers, the Buckeye Lures G-Man Finesse Swimbait Jig will help you put a few extra fish in the boat when the fishing gets tough.